This is a VERY detailed account of the sieges and marches of the Duke de Luxembourg during the year 1693-1694 in Flanders in what is known as the War of the Augsburg League. 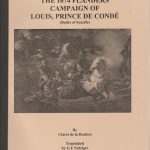 It covers the battle of SNeerwinden and the Siege of Charleroi. 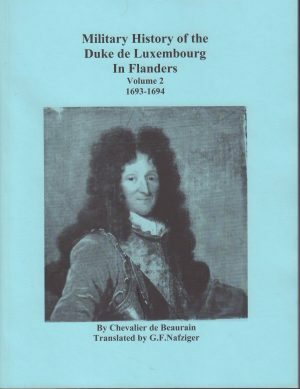 Be the first to review “MILITARY HISTORY OF THE DUKE DE LUXEMBOURG IN FLANDERS, VOL 2, 1693-1694” Click here to cancel reply. 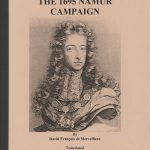 Nafziger Collection © 2019. All Rights Reserved.